Before you apply for a mortgage or a car loan, look for an apartment or consider any kind of major purchase, it is a good idea to check your credit score. Your credit score is simply a measure of the likelihood that you will pay off a loan or credit card, based on your past history. The higher your credit score, the more likely you are to get lower interest rates on a loan or to land the apartment you want. Although you can get your credit report -– the information on which your score is based -– for free, you usually have to pay for your credit score. Be careful not to fall for deals that offer you “free” credit scores in return for paying a monthly fee for a service to monitor your credit account. 1. Get a credit card. In order to show that you can handle credit well, you have to have credit. Look online for a card that fits your situation, and then apply. If you can’t get a regular card, get a secured card, which limits your credit to the amount of the deposit you make with the card. Choose a card that reports to all three credit reporting bureaus -- Experian, Transunion and Equifax. Having a few credit cards and using them responsibly helps you build good credit quickly. 2. Get an installment loan. Credit bureaus like to see that you can handle not only credit cards, but also long-term installment loans such as a car loan, a mortgage or a student loan. If you do not have an installment loan, consider taking out a small personal loan from your bank or credit union. Then pay it back on time. 3. Keep your credit card balances low. It is good to keep your balance below 30 percent of your available credit, and it is better to keep it below 10 percent. So if you are carrying a high balance, paying it down will help your credit score go up. 4. Use your cards sparingly. It can hurt your credit score to make a big charge to your credit card, even if you pay it off on time. Try not to use more than 30 percent of your limit at any time, even if you intend to pay the balance in full. If the balance is reported to the credit bureau before you pay it, it can hurt your credit score. 5. Check your limits. 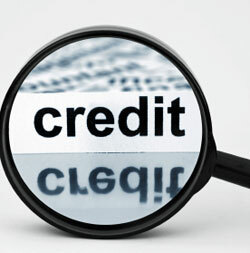 Make sure that any increases in the limits of your credit are reported to the credit bureaus. If you have a card that does not have a limit, use it carefully and try to pay it off in full before the end of your statement period. 6. Use an old card. In general, the longer your credit history, the better. So if you have a credit card that you haven’t used in years, use it. Otherwise, the card company might cancel or suspend your card for non-use. That could shorten your credit history and hurt your score. 7. Ask for forgiveness. If you have been a good credit customer for a long time and you have one late payment, ask your lender to erase that payment from your history. 8. Dispute old charges. Say you and your credit card company had a dispute over whether a charge was valid. Make sure the dispute is resolved -– in your favor, if possible -– and the resolution is reported to the credit bureaus. 9. Be proactive about your credit report. You can get a free copy of your credit report once every 12 months from each of the bureaus online at www.annualcreditreport.com. You should do that, and then check each report. Look especially for any charges you did not make, since those might indicate that someone has stolen your identity. Also look for incorrect late payments or disputed charges, and check your balance and the limit on your credit accounts. If you find errors, notify the credit bureau and get the errors corrected. You can’t fix your credit score overnight. But if you use credit wisely over time, you will see an improvement in your score -– and in your overall financial picture.